What Are the Best Credit Cards for Dental Students? Credit cards are like a fire – they can keep you toasty or get you burned. If you’re a student, you can get ahead while minimizing credit debt before it gets out of hand with these student credit cards. Credit cards come in all different forms with all kinds of rewards, but there are some specifically tailored for students looking to just start to build their credit. It’s an unsettling fact: Dental students have one of the worst debt-income ratios when they come out of dental school. Managing that debt can take years and bring on immense stress. But it’s important to remember that student loans are often a necessary part of getting the education it takes to earn a promising career. On the other hand, credit card debt is an entirely different beast – but one that can easily be tamed by those who arm themselves with the right knowledge and tools. In 2017, credit card debt was at its second highest point since the 2008 recession. In order to avoid becoming part of the statistics, it’s important to take precautions with your purchases and find student credit cards that allow you to build your credit on your own time. 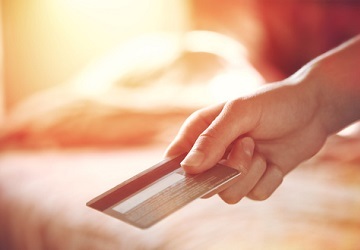 Wallethub, a trusted personal finance research site, put together a list of the best student credit cards avaible to kick off 2019, and we at Dentist’s Money Digest® are here to help you break down the highlights. When it comes to the most popular student credit cards, based on user rankings and use from students, the Journey® Student Rewards from Capital One® and Discover it® Student Chrome cards are considered the top two. To apply for these cards, you only need to have a very limited credit history. Both also offer similar cash back rewards in the 1-2% cash back range, with the Journey® Student Rewards from Capital One® offering a slightly lower cash back maximum in the form of 1.25%. However, in order to get the cash back bonus from the Discover it® Student Chrome card you’ll have to spend a total of $1,000 at gas stations and restaurants. With this card you will also get 1% cashback on all purchases, whereas with the Journey® Student Rewards from Capital One® you will earn 1% cashback on every purchase you make with the card and there is no minimum to get a higher cashback reward. Both cards are designed to help you start building good credit that will help lay the foundation for a first major purchase, like a new car, house or other loan. Neither card is meant to hold a lot of credit so make sure you pay your credit card bills on time (this is good advice regardless of the type of credit card you have). Additionally, both cards incentivize good credit behavior by offering no annual fee and providing rewards for timely payments. The editors on Wallethub also made their own pick for the best Student Credit card: Discover it® Secured. A secured credit card is slightly different from other usual credit cards as it is backed by a secured payment you make up front, making sure you are building credit right from the start. The Discover it® Secured $200 deposit is refundable and can serve as your spending limit if you are looking for a credit card that won’t have to be used too heavily. What makes the Discover it® Secured card special, according to the editors, is it’s $0 annual fee and 1-2% cash back on purchases. Having both of these special items is virtually unheard of for a secured credit card for students, thus making this an ideal card to build credit without having to worry about incurring extra debt. Like any financial decision, you have to make the credit card you choose work for you. Each situation is unique and thus each credit card is unique. As a student, making sure you don’t add on to your debt should be a major goal, so responsible credit card use should be paramount. And for those with big, scary student loans, read more on managing your student loans here.